The club agreed to terminate his contract after refusing to discuss a new deal over the summer. Bundesliga club RB Leipzig announced on Wednesday that they and coach Ralph Hasenhüttl have parted company. Hasenhüttl asked to be released from his contract after the club refused to discuss an extension to his existing deal, which was due to run until 2019. 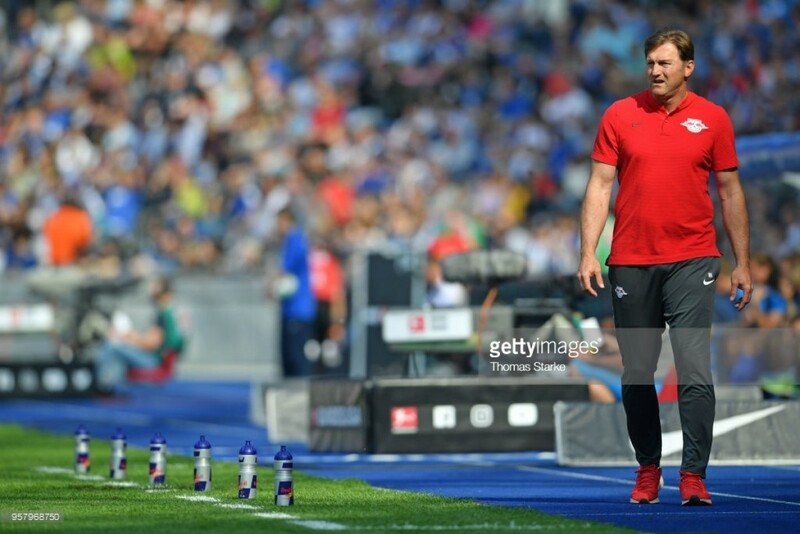 Hasenhüttl was appointed in the summer of 2016 on the back of keeping FC Ingolstadt 04 in the Bundesliga following their promotion their previous year. Leipzig themselves had just been promoted under the guidance of Rangnick, who had combined his role with coaching the team. Under the Austrian, they made an immediate impact, finished second in the league, recording the highest point tally by a debutant side in the league. Their high-energy brand of counter-attacking football was a revelation, even if the club remain immensely unpopular due to the connection with Red Bull. This year saw them competing in the UEFA Champions League and later the UEFA Europa League, reaching the quarter-finals in the latter before being knocked out by eventual finalists Olympique Marseille. They were unable to match last season’s performance in the league, finishing sixth, and that may have contributed to the club’s reluctance to commit long-term to Hasenhüttl as their coach. Nevertheless, he has been linked with many of the top jobs in Europe, including Bayern Munich (who reportedly approached him before appointing Niko Kovac), Borussia Dortmund and Arsenal. Leipzig meanwhile have, inevitably, been linked with Red Bull Salzburg coach Marco Rose, whilst Hasenhüttl’s former assistant Zsolt Löw and under-19 coach Robert Klauß have also been tipped as possible replacements.